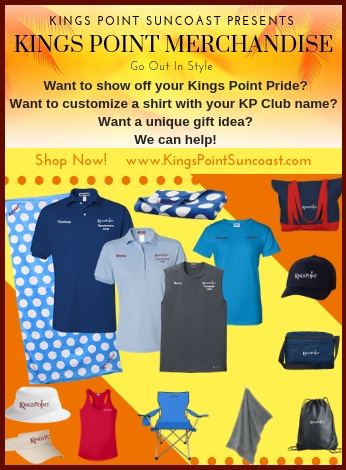 Thank you for your interest in Kings Point Suncoast. The community offers a variety of affordable retirement homes representing some of the finest that Sun City Center real estate has to offer. New residents seeking flexible baby boomer housing are sure to find a size, style and price that meets their needs. Browse our selection of affordable retirement homes for sale or rent by resident. We invite you to compare how other active retirement communities stack up against the extensive array of amenities, social activities, security, maintenance-free living, homes and lifestyle value available to all residents in Kings Point Suncoast. WARNING: The posting of a condominium unit or home “for sale by owner” or “for rent by owner” on www.KingsPointSuncoast.com is only a service to property owners within Kings Point. This service is not available to any other people or entities.The Federation of Kings Point Associations, Inc., Vesta Property Services and Kings Point Condominium Owners Association (KPCOA), including all of their officers, directors, employees, managers, agents, staff and volunteers, are not permitted to engage in the practice of legal, rental, real estate or brokerage services; accordingly, no advice will be given with regard to a posting on this website, including providing any kind of explanation, opinion, or recommendation to a consumer about possible legal rights, options, selection of forms, values of properties or strategies. Each posting shall be listed for no more than thirty (30) consecutive calendar days. It is the responsibility of the current Kings Point condominium unit or home owner to inform the KPCOA of a property sale to ensure that a posting is removed. Anyone using this service assumes any and all risks of losses or damages related to such use, and they affirmatively agree to hold The Federation of Kings Point Associations, Inc., Vesta Property Services and Kings Point Condominium Owners Association (KPCOA), including all of their officers, directors, employees, managers, agents, staff and volunteers, harmless from any and all claims for losses or damages related to such use. Please contact a local Realtor to set up a tour of the community or learn more about what properties are currently for sale and rent.